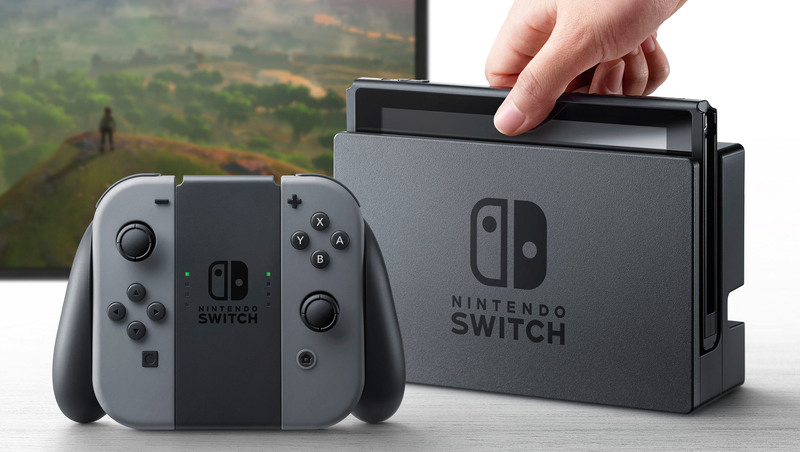 Nintendo recently unveiled its new hybrid video game console, the Nintendo Switch (known as the NX during development), which is a combination of a portable and a home game console, and is build around a tablet form factor. The idea behind the new device is that you should be able to enjoy big league games such as Zelda or Skyrim not only on a TV screen but also when you are on the move. This marks a huge shift in the strategy of the Japanese company, which has had separate systems for handheld and home game devices, for instance- the NES and Game Boy, the Game Cube and Game Boy Advance. Nintendo Switch is slated for a worldwide release in March 2017 and more details are expected to be revealed in the coming months. What exactly is the Nintendo Switch? 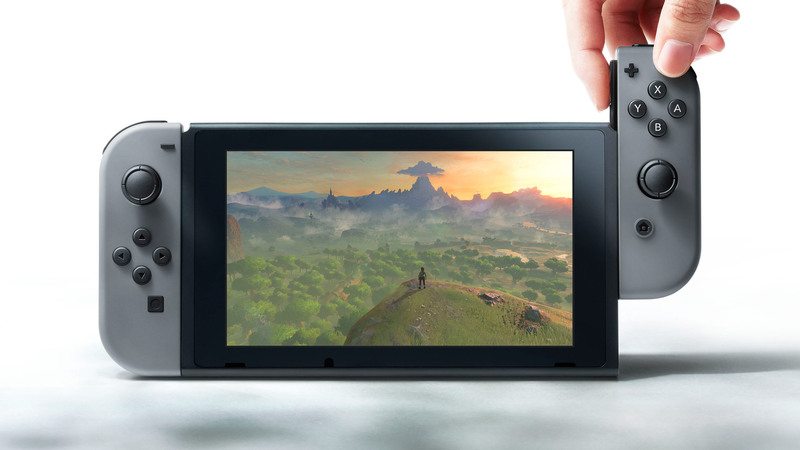 The Switch is a tablet-sized screen, around seven inches in size and equipped with detachable ‘Joy-Con’ controllers on each end- this means that you can play games on the console while using it as a portable device or use the control pads wirelessly. You can either play it on the provided screen while on the move or on your TV at home by using a special dock. The design of the Joy-Con controllers is similar to the PlayStation and Xbox controllers, with an analogue stick, four buttons arranged in a diamond pattern and directional on the other, as well as two shoulder buttons and two menu buttons. The controllers can also be separated and used by two players individually. Can more than two players play with the Switch? Yes. As the Nintendo video shows, four players can play an NBA game at a time by using two Switches, which connect wirelessly. One screen is shared by two players, with each using an individual Joy-Con. The video also shows an eight-player game, so that will be something really interesting in multiplayer mode. What are the specs of the Switch? Right now, no details have been officially released for the battery life, screen size and power. It uses an Nvidia processor and has an air vent to expel excess heat, and a headphone jack. The performance level is not expected to be on par with the PS4 or Xbox One, but then again, that has never been Nintendo’s aim. Having a good battery life is one of the most important aspects for the Switch, since all Wii U owners can recall how atrocious the battery life of the Gamepad was. Playing heavy duty games on the go is no small feat for a handheld console, and unless Nintendo has something great stored for its fans in terms of battery life, the Switch may turn out to be a complete flop. We saw a total of six games in the video, with most of them already well known- NBA 2K 17, Splatoon (available on the Wii U), Skyrim, Zelda: Breath of the Wild. There was also a new Mario open-world game and what seemed like a new Mario Kart title (though it did look similar to Mario Kart 8). Apart from these, Just Dance, Dragon Quest and Sonic games would also be available for the Switch. The games will be playable through game cards and Nintendo also has a big collection of games that should be available with the virtual console. But will there also be Switch-specific remakes of games like Super Mario 3D World, Pikmin 3, which are meant for the Wii and Wii U? We will have to wait for that. How much does the Switch cost? Nintendo has always been a cheaper alternative to the PS4 and Xbox consoles, and a new Nintendo system is not expected to cost more than USD 300-350. Then again, the Switch is not meant to be an exclusive mobile platform but a hybrid one, so integrating the two and taking into account the additional accessories required, will the price be reasonable enough to justify its eventual performance? That’s a question that only Nintendo can answer.